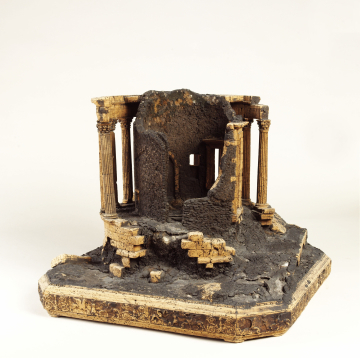 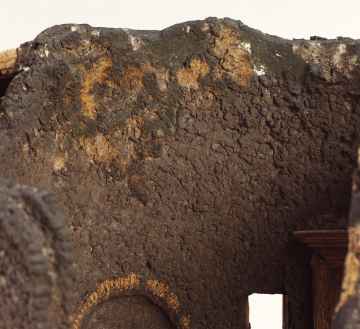 This model represents Sir John Soane’s favourite classical building. 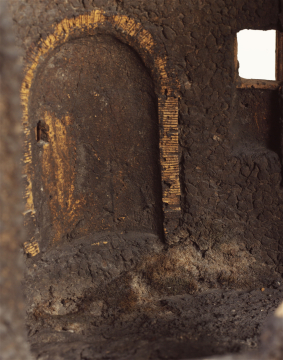 He sketched the Temple, dramatically located on a cliff by a waterfall, when he was in Italy. 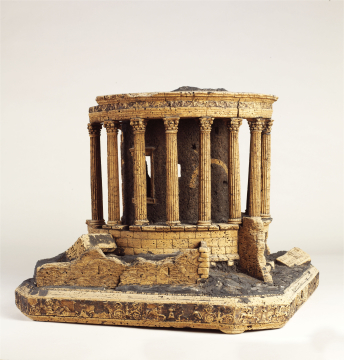 The circular Temple was thought to have been dedicated either to the Goddess Vesta or to Hercules (circular temples dedicated to these two exist in Rome) and was founded during the Republican era in the 1st century BC. 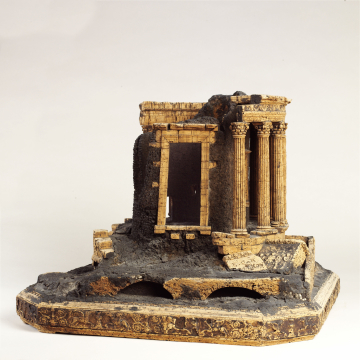 Soane used the distinctive form of the Corinthian Order of the Temple in his own architecture, most notably on the Tivoli Corner of the Bank of England. 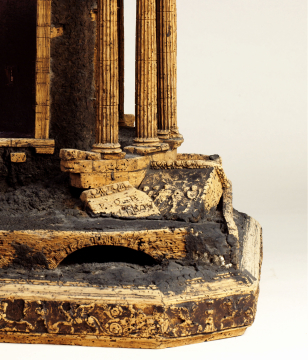 Acquired by John Soane at the Govan Sale, Christie’s, 16 February 1804, with a cork model of the Arch of Constantine for £16. 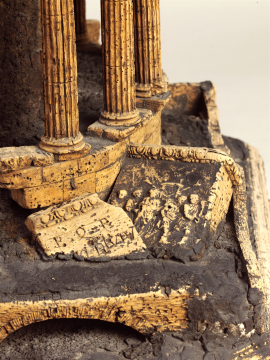 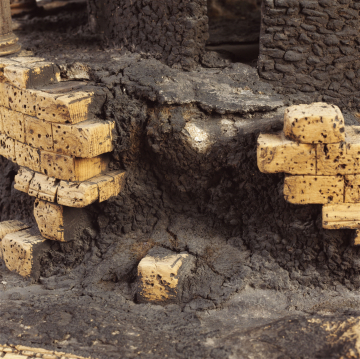 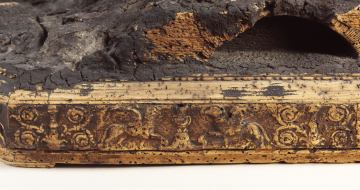 For other cork models of the same temple see Rom über die Alpen tragen p. 3303-309 and Kockel, Phelloplastica p. 57-68.